The road is sealed all the way and there is plenty of parking. Click here to see a more detailed view of our location and directions on Google Maps. The small settlement of Arthur River is named after the river and is home to fewer than 40 permanent residents. Located on Tasmania’s rugged west coast, Arthur River lies at the mouth of Tasmania’s only major river which is completely wild; a river in the heart of the Tarkine Wilderness which has never been logged or dammed; a river where one of the world’s largest tract of cool temperate rainforest drains into the mighty Southern Ocean. 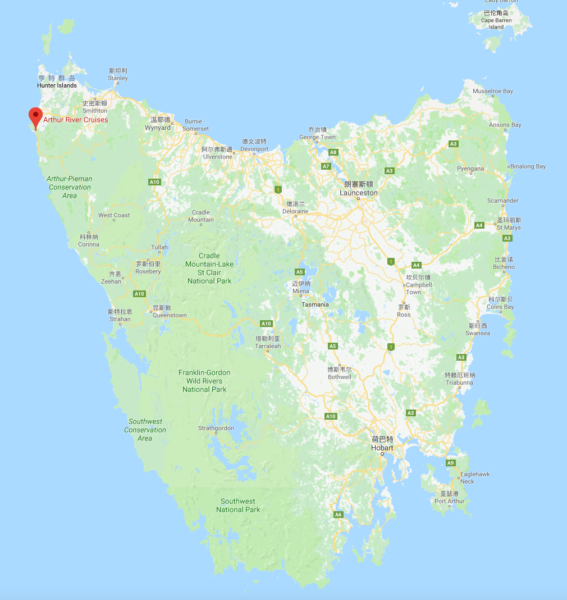 Centuries old forest giants of brown top stringybark, blackwood, myrtle, leatherwood, and sassafras have become the foundation of coastal dunes and lay buried in the sand for thousands of years. The reason this place is called “The Edge of the World” is because the battered coastline and isolated river mouth lie 15,000km from the next land mass which is Patagonia, the south east coast of Argentina. Only a small percentage of tourists who come to Tasmania make the effort to visit Arthur River, and those who do have the unique opportunity to drive to this wild and windy vantage point to experience the “Roaring Forties”, the swells of the Great Southern Ocean and the resulting waves which pound the rugged rocks. Here tree trunks have been heaved ashore as if they were twigs. 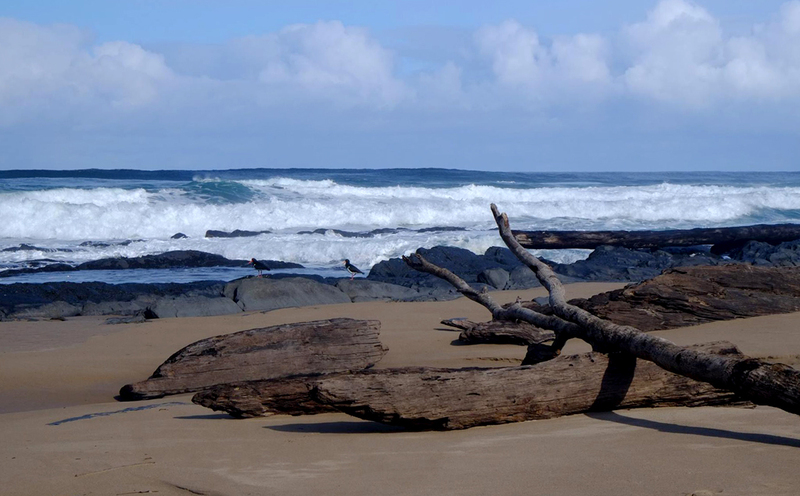 Miles of beaches north and south of Arthur River are littered with these ancient logs. Just over 30 years ago a local bushman named Turk Porteus recognized the value of the untouched Arthur River for a unique river cruise. Turk built a boat from scratch in his backyard, then leased a cool temperate rainforest landing deep within the Tarkine Wilderness. And so in 1985 the iconic Arthur River Cruises was created. Today visitors can cruise the pristine Arthur River on the same boat, and enjoy a BBQ lunch at the same landing. ARTHUR RIVER CRUISES is truly Tasmanian – in all its pioneering history, wilderness, and relaxed welcoming atmosphere. For fishing enthusiasts the Arthur River offers trout, salmon and blackfish when in season.